To start of with, an apology from Andrew, he had an epic dose of manflu and that’s why we’re so late with our latest podcast! On the plus side, it was worth the wait. Straight out of Citrix Summit, we had the absolute pleasure of catching up with the ever charming, fascinating and all round nice guy that is Christian Reilly, CTO of the Workspace Services Division at Citrix. Christians impressive career so far. Christians first year at Citrix. What does Citrix’s message of “Focus on Core” mean? Citrix’s new CEO Krill Tatarinov. Workspace Cloud launch, success and feedback. Christians first Citrix summit, how did it go? The future of networking and Netscaler CPX. Consulting the EUC crystal ball for the next 18 months. the good old MDM vs MAM debacle and information management. Gluing the pieces together to simplify the user experience. Hints and Tips for Synergy. Apprenticeships and Education in our sector. A catch-up with Andrew Morgan – that guy that disappeared about a year ago. 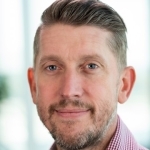 A chat with Ingmar Verheij, Citrix Senior Sales Engineer and IoT rock star. A chat with Guru Chahal all about Avi Networks. @VDIHacker @BasvanKaam @Rorymon Happy to do round 2 any time. We look forward to it. @bsuhr @JarianGibson @vhojan @vdidesignguide We got a bit behind but catching up. Have a few more coming out soon as well.